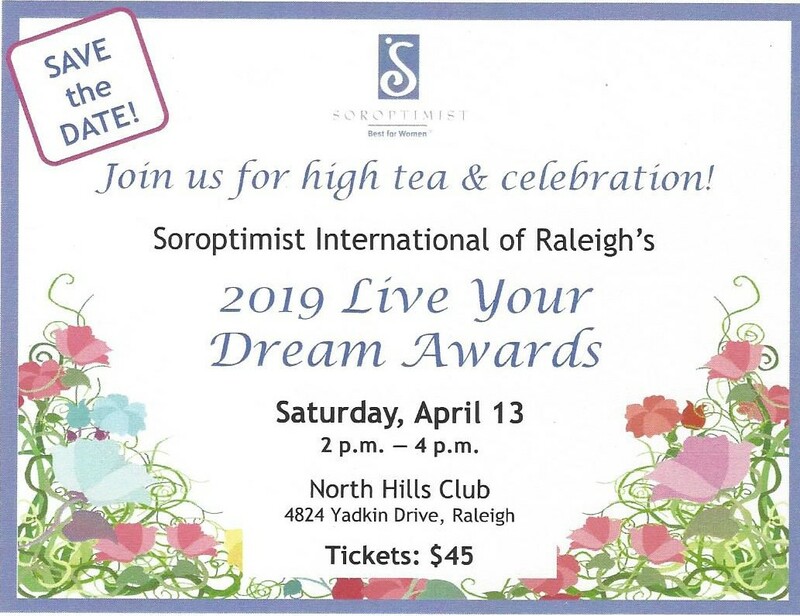 We’re excited by your desire to get involved with Soroptimist International of Raleigh and support our mission to improve the lives of women and girls in local communities and throughout the world. Here are a few more ways in which we may work together. Do you present on topics that support the Soroptimist mission? If so, we’d love to hear what you have to say. Become a guest speaker at one of our monthly meetings. Our meetings take place the second Tuesday of most months (May through September) and typically include an interesting program, time for getting to know each other, light refreshments, and a short business meeting. To indicate your interest in becoming a guest speaker, please contact us. Thanks to the generous and continued support of our sponsors, our service projects to raise awareness of women’s issues and help women and girls to lead better lives continue to thrive. To learn more about becoming a sponsor, please contact us. In collaboration, Soroptimist International of Raleigh and Dress for Success operate a boutique in Raleigh that offers business attire and career counseling at no cost to any client that is referred to us by our partner organizations. To learn more about becoming a partner, please contact us.